The power of true stories, well delivered, has made Here:Say Storytelling one of TC’s hottest, most entertaining on-stage monthly shows. Hear it now. Tens of thousands of readers nationwide turn to this Leelanau County woman for advice on planting and harvesting fruit at home. Fall Color Tour, Tunnel of Trees Serpentine and leaf-shrouded, a spin down Michigan’s most famous two-lane, M119, will make your autumn perfecto. 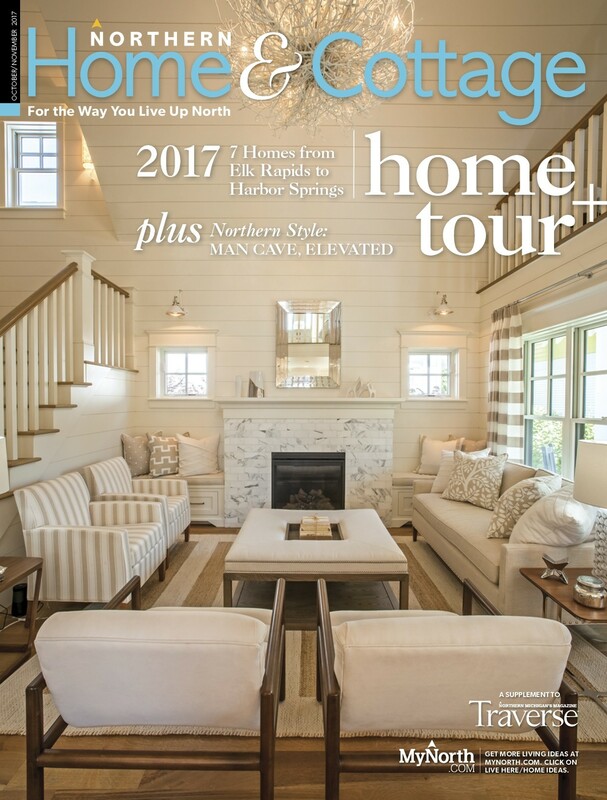 Up North Meet the new TC Coast Guard Station commander; Portage Point Inn gets closer to a renovation; cool autumn tours at Grand Traverse Commons; brand new nature preserve on M119 (thanks, Hoogland family!). This Is MyNorth Your October’s better with MyNorth in it. October Events Vivid color, inspired events. Time to go! Travel Fun and colorful reasons to head north this month. Up in Michigan A mom, a daughter and the Kitch-it- kipi waters that bend time and space. Dining Fab dining for your color tour weekend. Local Foodie Chorizo risotto, by Wren the Butcher (say yes to a perfect fall dinner). Drinks Hard cider sampler for your autumn wanderings. 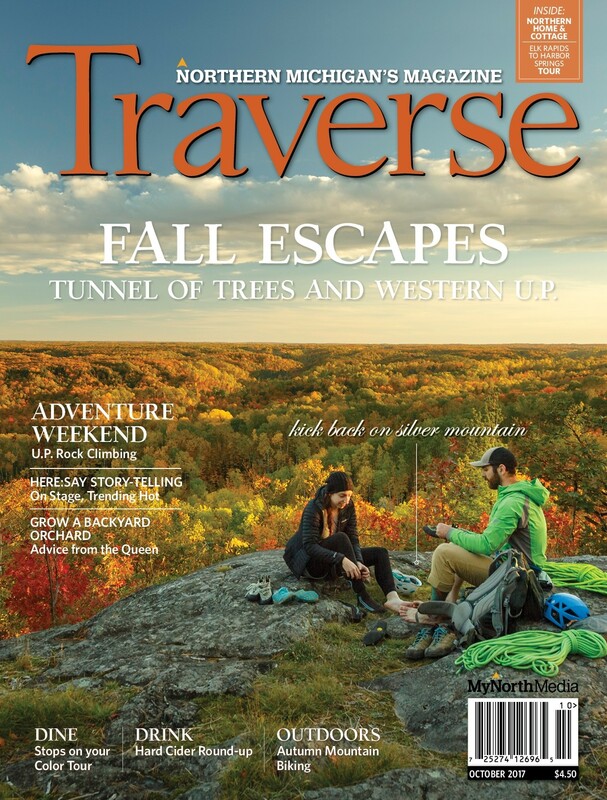 Outdoors Find October-perfect mountain biking moments on the trails of Grand Traverse Commons. For Land and Water Clear purpose, healthy H2O, at The Watershed Center, Grand Traverse Bay. I was 18 years old the rst time I was in Northern Michigan during fall color. Seems a bit unbelievable, but in hind- sight, it makes sense given our household of four kids, school, sports. That rst time, I was a freshman in college, the youngest and the only one home for a fall break when my parents decided we should head north for a couple of days. That seemed out of character for my dad, but since I was mostly hoping for sleep and food and more sleep, it was perfectly ne with me. ... Read the rest of Deborah Wyatt Fellows's column in the October 2016 issue of Traverse, Northern Michigan's Magazine.